Buyers' remorse is never pretty. 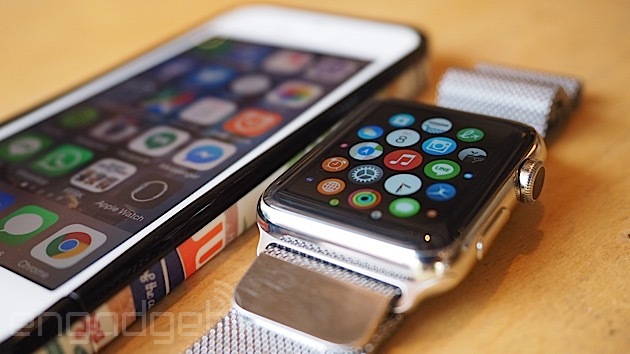 Our Editor-in-Chief Michael Gorman has already tested the Apple Watch. Thanks to a handful of early positive-but-with-caveat reviews and even more previews in the run-up to launch, I knew what it could do. Still, I felt like there must be a way that the watch would effortlessly dovetail into my life, reducing the need to constantly paw my phone and further lowering the barrier between myself and technology. I'm not sure if it was Apple offering three different tiers of entry, or its plan to literally strap it to tastemakers and celebrities before mere muggles could buy one, but come launch day, I was intrigued. I called up my closest exclusive fashion boutique and made an appointment for a consultation. I wanted the old-school retail hit. The cold, hard sting that can only happen when you physically open your wallet to pay for This Thing You Want Right Now. To the tune of seven hundred dollars. Weeks later, it still stings. I tried on a few different Apple watches (although several of the models were already sold out). And yes, of course I tried the Apple Watch Edition -- in gold! -- mostly for a laugh, and to see if I could tangibly feel the wealth. It was, er, heavier. 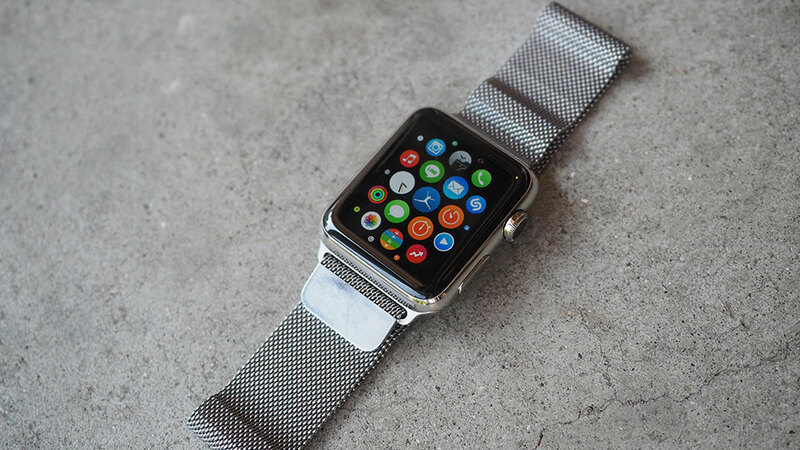 However, I'd already decided I wanted the Apple Watch: I wanted the sapphire display and the stainless steel body, because I'm a clumsy fool and I'm bound to bump it against brickwork or accidentally drop it into a pit of spikes. The assistant gestured toward a corner: "There's a mirror in the corner." I winced, but then I went and stood in front of the full-length mirror. And stared at my wrist. And myself. And I looked like an idiot. "Selecting a watch is very personal. As with all things you wear, how it looks is at least as important as what it does." As a smartwatch -- as a watch -- it looks good. The materials, the attention to detail that Apple products are known for. It's all on show here. Compared to the Android watches I've tested and played with, the feel, the quality, is on a completely different level. But many other (non-smart) watches at this price look just as good or better. I bought this because of what it could do beyond those mere timepieces. Indeed, it can do more, but it doesn't do enough. Not yet. It doesn't illuminate my life like my first iPhone, or revolutionize my work routine like the take-it-anywhere MacBook Air. To be fair, the Watch does some things well -- notifications aren't jarring and you have a lot of control over what appears and what doesn't -- but it just doesn't do much once you're wearing it. I use it a fraction of the time I use my phone. I've paid all that money for a smartwatch whose time hasn't quite arrived. But then, (nearly) every product sequel is better than the last, so why do I hold the Watch to a higher standard? Why do I regret the purchase? Me, the early adopter. (I bought a Pebble, for crying out loud.) It's because I haven't used it much since I got it home and synced the apps from my phone. I put it on and... I don't know what to do with it. 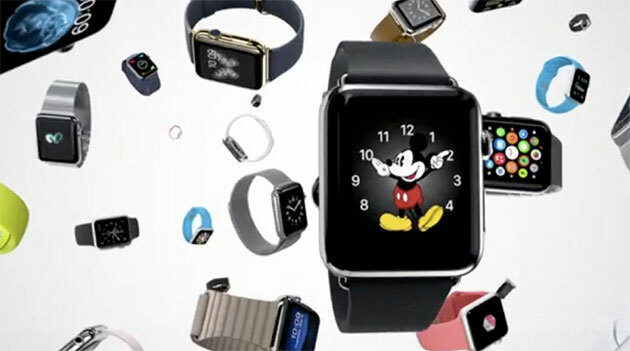 I flip around the watch faces, customize a chronograph with my own charms of choice and then waver between that and the addictive foot-tapping Mickey. I see how Instagram looks on my wrist; I get lost spinning around the moon, the Earth, the Milky Way. I send some NSFW doodles to a colleague, and then my heartbeat. I dictate to Siri a text message to my mum back in the UK. And I'm at a loss to what to do next. When I get a new phone, I can't help but tinker around with apps, wallpaper, the camera, adding my music. 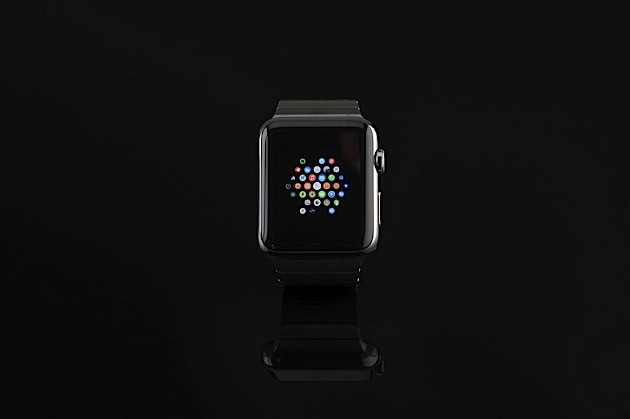 The Apple Watch brings your apps closer, but it feels like a lot of things are trapped behind a glass display case. While I can see my notifications from a wide array of apps, interaction is either impossible for a lot of them, or limited to a few prescribed patterns or functions. Siri can send a text message, but you'd need the iPhone to do the same on email. After two weeks of wearing the Watch, nothing has changed. I wear it, but I'm not gaining anything from the experience. My phone is typically nearby. Perhaps I'm just not a smartwatch kind of guy. I like to wear a watch, but when it's the Apple Watch, it's not giving me enough bang for my buck. I hand it to a friend to play with, and they press or swipe (or do something) and I see a screen I've never seen before -- there's very much a learning curve. I'm not demanding (and not sure I want) smartphone-like functionality; I like the rigorously lightweight nature of how the Apple Watch deals with things. It takes a while to realize that, unlike iPhones and iPads, it's not the apps that form the basis of how I use the Watch (it's the swipe-up Glances for weather, music controls and activity monitoring). But I just don't gain enough from these easily accessible features. At least not yet. Where the Apple Watch delivers best in functionality (like its fitness monitoring, which I'm continuing to use), I could get from a whole range of devices that are markedly cheaper. It's also (at least in my case) $700. Given how it looks and feels, and the technical accomplishments that go on inside that shell, is that the right price? I like it, but it's not "hundreds of dollars" like. Maybe I'll love next year's model, or the 2017 edition -- but I'll likely be ill at ease to admit it, because I'll still have the original Apple Watch, depreciated substantially. If anything is going to make smartwatches a mainstream thing, given what's beating inside (and the HealthKit stuff, and Apple's sheer influence when it comes to app developers), Apple will be the one to do it. But it hasn't yet -- and I wish I hadn't opened my wallet for this first effort. I expected that I'd be using it so much more than I am at the moment. The curse of a new product category, or an Apple product that I don't need in my life? I'll know one way or the other in the next six months. And if I change my mind, when I'm using Glances untold times a day, when the apps are perfectly attuned to a wearable, I'm willing to eat crow and tell you how it all changed.